As of now, Minutes Before Sunset is rated 4.5 stars on Amazon, 4 stars on Barnes & Noble, and 4.7 stars on Goodreads. 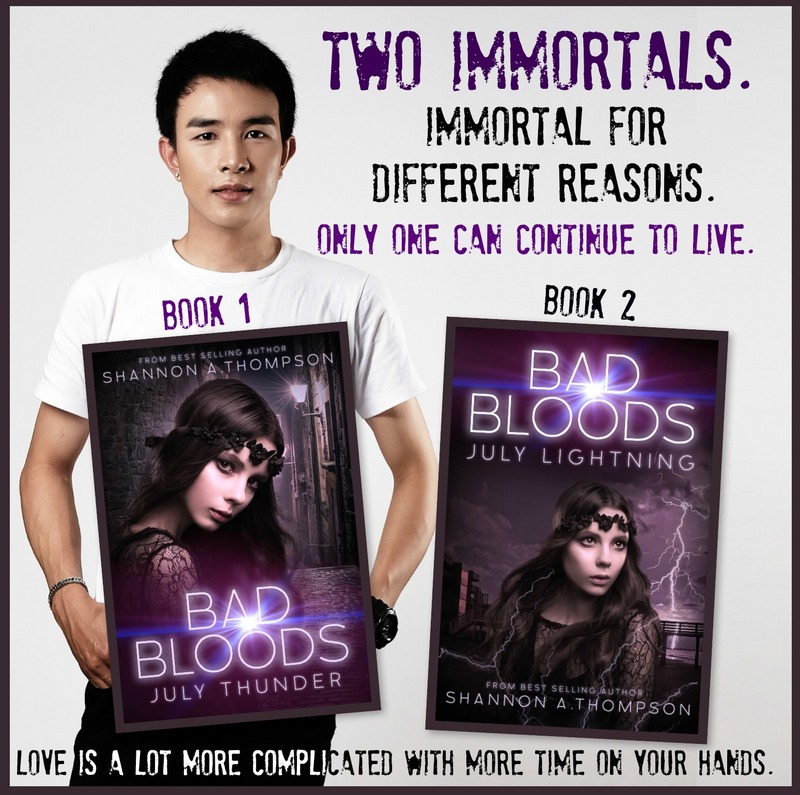 Thank you to everyone who has read and reviewed! An author always appreciates the dedicated and honest support. This picture means a lot to me. 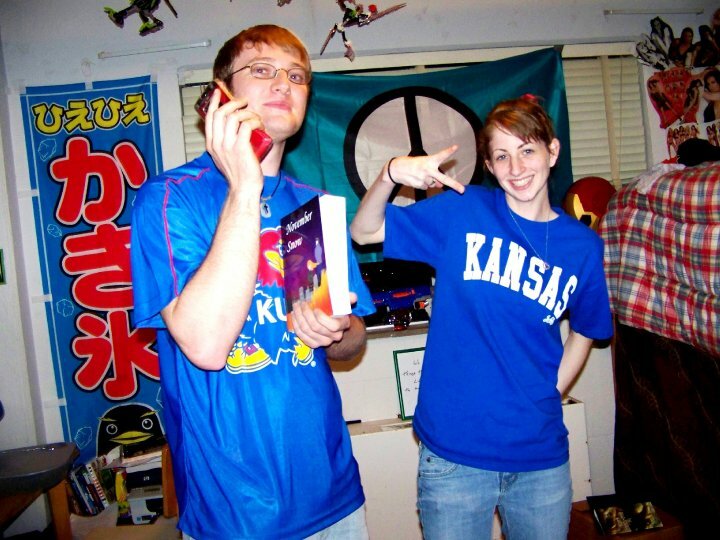 These are two great friends of mine that I met at the University of Kansas, William and Brooke Jones, and you might notice what William is holding: my first novel, November Snow. Support (and friendship) like this is priceless. 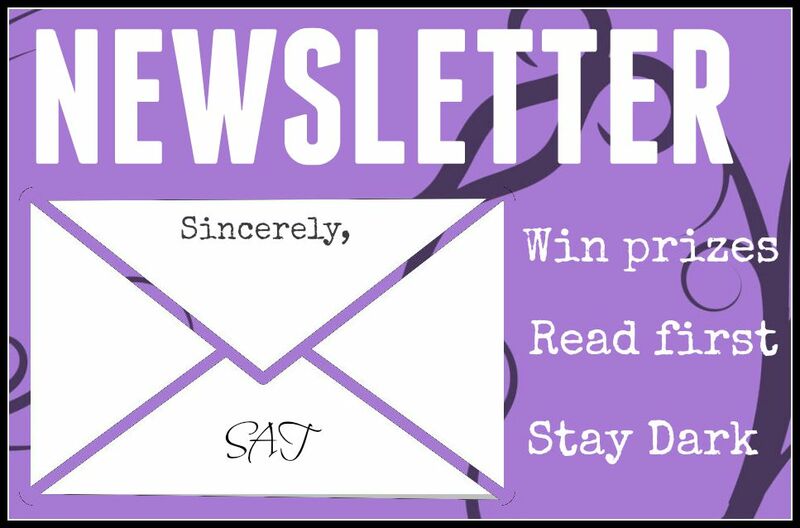 Based on status, you’ll receive a confirmation. (If you don’t fell comfortable sharing your email on my comments, please send an email to ShannonAThompson@aol.com identifying yourself, so I can send the invite) Follow me here, so I can find you, and I’ll be sure to follow back! I think your background is a great place to start. Everyone has heard “write what you know,” and there is truth in it. Placing your novel in a place your extremely familiar with is the easiest route (not necessarily the right route), and this can make descriptions easier. For instance, Minutes Before Sunset takes place in Hayworth, Kansas. This is not a real town. It’s actually a play on Hays and Ellsworth, both towns in Kansas. I haven’t lived in these locations, but I have been to them, and I currently live in Kansas, so I am very familiar with the culture, layout, and how the weather works. Plus, I wanted an ironic name. Since the novel is about a dark fate, it only seemed appropriate (and humorous) to have a name that suggested the town was worthy. In regards to familiarity, another thing to think about is your basic settings. By this, I am referencing your rooms. I’ve discussed interior maps before, and every house in Minutes Before Sunset is based off of a real house I’ve lived in (aside from Eric’s. That’s my dream home.) And the maps are available on the Minutes Before Sunset extra’s page. If you’re looking for a place you’re not entirely familiar with, I wanted to give a great website out there for beginning, especially if you’re not positive on what you’re looking for. 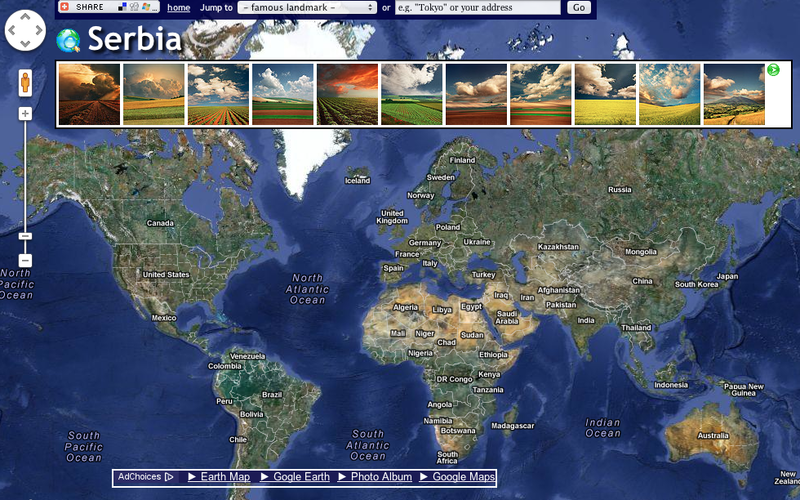 Earth Album Alpha: This is a slick flicker collection of photos, virtually capable in regards to clicking anywhere on the map just to see an arrangement of pictures from the specific country. This can be very broad, but it can also help narrow down what you’re looking for. As an example, the picture below is of Serbia. (I clicked randomly.) You’ll see a collection of tiny pictures at the top, which you can enlarge, that will show the region. In particular, this country has a lot of beautiful fields, so you may not be interested in Serbia, but you might realize you want an open space, and you can go from there. Do you like these tips? Join my Facebook page for more! Weather Base: This website helps summarize what happens in regards to weather in the average year based on the location you choose. This is actually a traveling website, meant for tourists to figure out ideal weather to travel in, but you can learn whatever you want all over the world. I really recommend checking these things, because fallacies can happen in location, if you’re not familiar with how citizens live beneath the weather clouds. A good example of this is the famous young-adult novel, Twilight. Although Meyer set it in a rain-prone state, the amount of rain she used was very unrealistic to the location. In an interview, she even admitted that she visited for weeks without rain and was quite disappointed with her lack of research. However, she was delighted to bring tourism to the city that wasn’t known before. So there are pros and cons to everything. 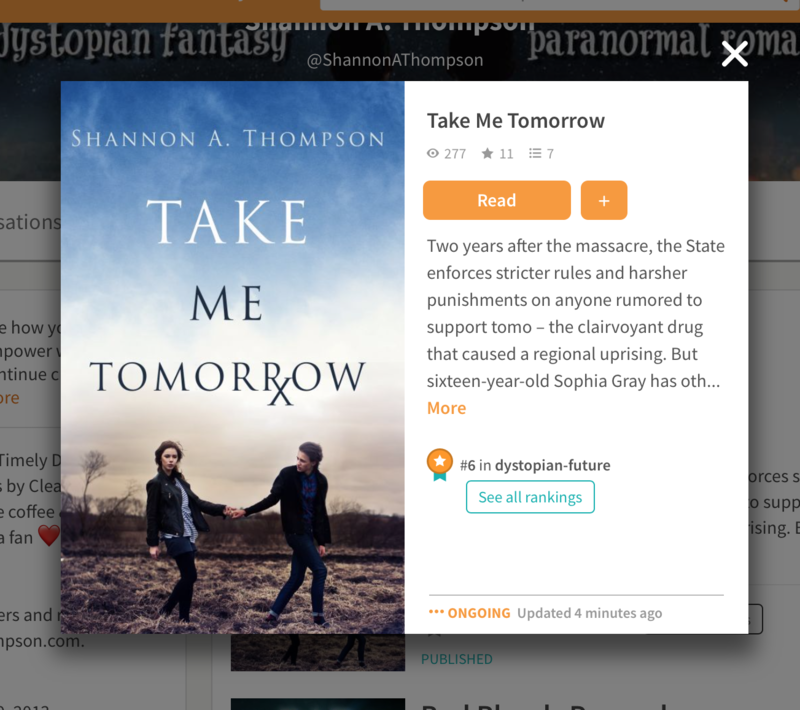 My hopes is that sites like this will help the initial process of choosing a location you (as much as your readers) feel connected to as much as your characters will be grounded in it. If you have any other sites, comment below! And, as usual, if you have a topic you want to hear about, let me know, and I’ll credit your blog for asking the question on that post.